This toy is apparently molded from the 60's Aurora Creature model kit. 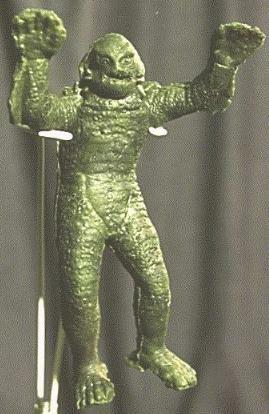 Reportedly, this rubber Creature was sold in Mexico circa 1969. It stands approximately 8 inches.